"This booklet is aimed at parents of dyslexics but will prove equally helpful to the classroom teacher as well as to dyslexics themselves." says Brother Matthew Sasse a SpLD / Dyslexia Consultant and Tutor in the BDA Dyslexia Contact magazine. 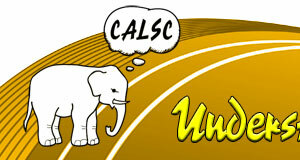 It was first published by CALSC- Communication and Learning Skills Centre in 1996. Jane Mitchell, the author, says "I have now made the booklet available over the internet for people to print for themselves." “The analogies used are so familiar that the reader soon begins to feel at home with the subject – above all a reader-friendly booklet. The illustrations, both humerous and uncomplicated, added to the attractiveness of Jane’s explanation of dyslexia. Jane’s whole approach to the subject is positive and constructive; elsewhere we tend to hear so much about the problems dyslexics are faced with, whereas this booklet sets out to provide pointers to possible ways forward which the parents of dyslexics may adopt. Please credit the author if you make bits or the whole of this booklet available to your pupils or students. The Understanding Dyslexia Analogies booklet is free to download but remains the copyright of CALSC - The Communication and Learning Skills Centre. Photocopying the downloaded pages for private, non-commercial use is permitted but the details relating to CALSC - The Communication and Learning Skills Centre must not be deleted or blanked out. Inclusion of all or any part of this material in publications, whether distributed free or for a price, is not permitted without the express permission in writing of Jane Mitchell of CALSC - The Communication and Learning Skills Centre who may be contacted in the UK on 01797 361318. As the parents of a dyslexic son or daughter you may find it difficult to understand how he/she feels, what dyslexia is like, and what you need to do to help. These analogies may help you to understand some of the important aspects of dyslexia. Some of these analogies, used at the appropriate time, can be helpful to children, as well as parents, to enable them to understand the difficulties that they may be experiencing. I use analogies and stories in much of my teaching. They are a good way of explaining ideas, and often conjure up a picture which may be more memorable than just words. Imagine you get a beautiful new computer for Christmas. It has a huge hard disc, lots of games included in the box, speakers and a colour printer. When you have set it up it does not work as you had hoped. The software is for an Apple Mac (you have a PC) and the printer cannot print your work from the computer because the correct printer driver is missing. There is nothing wrong with the computer - it has a good memory, an excellent processor and all the internal workings it needs. There is a problem with the input because of the Apple Mac discs, and the output because of the printer driver. This is a bit like being dyslexic. It may be that the input your child receives does not match his/her own way of working. Some subjects at school or home will be presented in a compatible language/system and therefore get into his/her brain (computer). Other subjects do not even get inputted. It is like hearing somebody talking to you in a different language which you cannot understand. Similarly with output, a dyslexic child or student may have all the ideas and knowledge in his/her head but be unable, like the computer, to print it out, or get it down on paper. Imagine you have a beautiful new fast car on your driveway at home but you don’t know how to drive it. Once you have started driving lessons you can progress through various skills and techniques, mastering corners and roundabouts and ultimately driving safely on your own. Many dyslexic children have been assessed and told they have a high IQ and yet feel confused. If the child is doing very badly at school and knows that he/she is not getting the same good marks as his/her friends, then he/she may not be convinced of the value of a high IQ. This high IQ may be like the fast car that you have not yet learned to drive. A specially trained teacher can help to teach your child how to use his/her IQ to its full advantage. Dyslexia is hidden. People can not see that your child has dyslexia by looking at him/her. This may be an advantage. No-one in the street will stare and point at your dyslexic son or daughter - as they do with some other disabilities. However, it also means that your dyslexic child may have been undiagnosed for many years. As a parent you may not realise that your child is experiencing problems, or what the cause of some of your child’s difficulties may be. People have many differences which are hidden, some of which are considered as disabilities and others as handicaps. Colour blindness is a handicap if your child wants to be a pilot; having coeliac disease excludes a young person from joining the army. A poor short-term memory, poor handwriting, slow reading and bad spelling can make it harder for your dyslexic child to follow some careers, but it is not an automatic ban like colour blindness. to prove people who think he/she can’t learn wrong. When it rains some people are happy and other people are sad. It depends not on the rain but their attitude to it. Some would think of the disadvantages and say “I can’t go out”. Others think of the advantages and say “The garden needs the rain”. In my view, the reaction to the diagnosis of dyslexia is similar. The attitude both you and your child take can determine future success or failure. Attitude can be changed more easily than dyslexia. This change is something that may happen overnight or take years. and how their feelings about certain teachers affects their learning. Many students do not need to consider these areas because the process of learning has been easy. With appropriate guidance the dyslexic student, who finds study difficult, may start to develop sensible attitudes and strategies to help alleviate his/her problems. According to his/her age and needs your child will have differing requirements. However many specialists you take your child to see, it will not help unless their advice is followed. Even if a teacher has shown your child what to do, he/she must not expect to improve, without practising, just as in sport. With practice one can always progress at a sport, for example through a range of belts in Judo or championships in tennis. Similarly with practice, lessons for your dyslexic son or daughter can progress through a range of levels as he/she gets older. Deciding how to help your dyslexic child is like looking through holiday brochures before you plan a holiday. If you know what is available you can choose and save up for it. Some flights get booked up very early. Similarly many teachers and educational psychologists are booked up for some weeks or even months ahead. It is essential to plan in advance the help your child may need. It is important to find out what schooling and help are available. As well as asking schools, look at resources such as the Dyslexia Handbook, and contact the local Dyslexia Associations, Dyslexia Teaching Centres, or educational psychologists. In a restaurant you would expect a choice of foods to satisfy your hunger. There is no single food that suits all people, all nationalities or all tastes. I believe the same is true with teaching methods for your dyslexic child. All dyslexic children are not the same, although they may have similar difficulties. The underlying causes may be different, and certainly the interests and experience of each child will be different. We are all advised to give our children a healthy diet, balancing the dietary needs and the preferences of each child. Similarly an experienced teacher would not use only one method of teaching but would balance the methods he/she used. With luck a person can get around the Trivial Pursuits board, and even win, only answering questions about his/her favourite topic. Similarly, some people have successful careers in sport or music regardless of their knowledge of literature or geography. At school children sometimes feel as if the dice are heavily loaded towards the first two intelligences. But in the outside world, if your child can maintain confidence and self-esteem, the other intelligences are useful and valued. For example, musicians, sports people, crafts people and those who care for others are all essential members of our society. There are several types of memory. The short-term memory can contain pictures or sounds and is useful to store information temporarily. But unless information is transferred to long-term memory from short-term memory it is lost after a few seconds. It is like typing anything on a word processor. Unless it is saved regularly it will be lost as soon as the computer is turned off. Long-term memory is the equivalent of the hard disc on a computer. Long-term memory contains pictures, words, feelings, experiences, knowledge of everyday actions as well as meanings and spellings. Items stored in long-term memory are secure - they cannot be wiped off. Although normally this information is stored safely, occasionally a power surge or computer virus, a stroke or meningitis may impair the information in long-term memory. Because something can be remembered for a short time it does not mean that the information will be remembered automatically in future, or that it has been transferred to the long-term memory. Dyslexic children may seem to know some information, or be able to repeat a spelling, or read a word just after it has been told to him/her, but this only tests the short-term memory. It does not prove that the information has been transferred to long-term memory. For many dyslexic children it is necessary to actively transfer information from their short-term memory to their long-term memory. If you overload an electric circuit by running too many heaters, lights or large electrical items the fuse will blow. Short-term/working memory is like this. If a dyslexic child puts one too many items into his/her memory all the items may be forgotten. A child needs to find what his/her memory can cope with, and organise the input of information in appropriately sized chunks to prevent overload and fusing. Although all information stored in a hard disc, or even a floppy disc, is secure it does not mean you can find it. There may be files on your computer that are not labelled clearly, or are confusing. You may have computer discs that have no labels and it would take hours to search through each one to find the particular letter or document needed. Similarly with dyslexic children, they may have stored information, vocabulary or spellings but not have filed them in an easily accessible place. The time it takes for these children to search for a word means that they may have forgotten what they are looking for, or that the moment has passed and everybody else is talking about a different topic. In a more traditional analogy it is like trying to find a book in a library that has no classification system, and in which the books are arranged randomly on the shelves. The search can take a long time and be very frustrating. Dyslexic children can be taught to label and organise the information they store and, like a library, can have a good classification system, which saves time and effort. If you encountered road-works on a journey, it is unlikely that you would turn back, go home, and decide not to go out until the road-works were cleared. It is more likely that you would find an alternative route by which you could reach your destination. Children with dyslexia encounter many difficulties in their journeys, and must be encouraged not to give up. Parents can play a big part in helping their child to find alternative routes and methods to reach his/her goals.